BDC Contractors Inc. (BDC) is a Winnipeg-based transportation service. 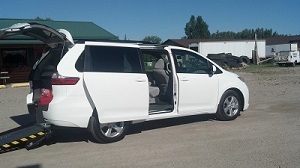 BDC provides late model, high-end handy vans delivering smooth ride for individuals with disabilities. BDC vans are very well maintained. BDC is lead by people who really understand the needs of people with disabilities. With BDC, we forecast to provide services for many years to come.